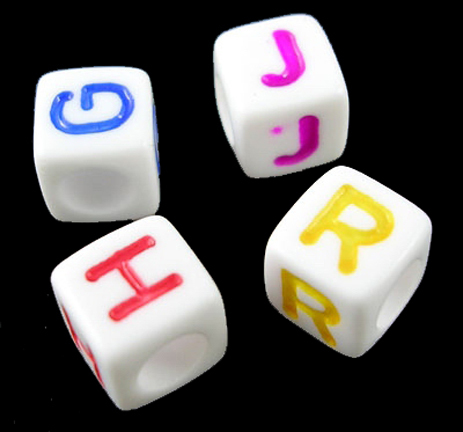 The acrylic alphabet beads (pictured above left) are smaller (sample shown above is with the smaller bead) and the beads on the right are larger. 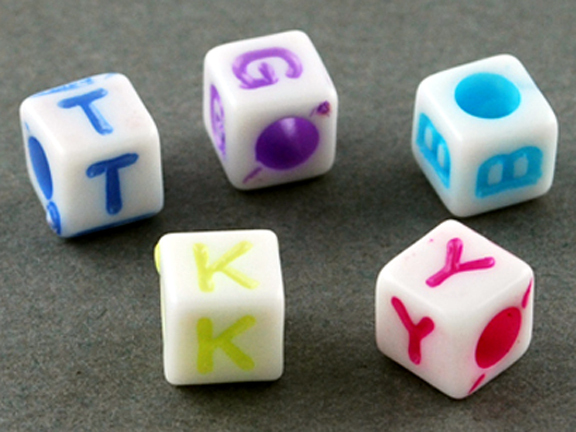 These are great for adding texture and shapes to your beading projects. These are a longer lasting bead and more difficult to pop. 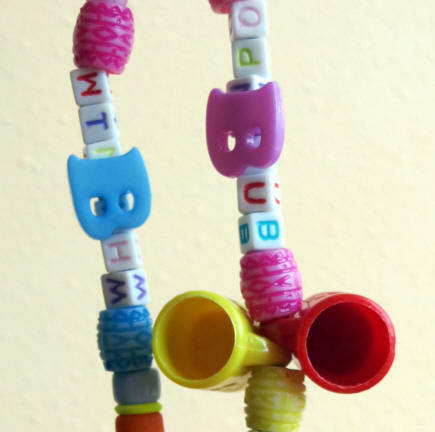 We like to use these when we want to add buttons or pacifiers to our project (see photo above). They help make it lay flatter. The cube shape is a favorite and harder for your parrots break. Adds texture and color to your beading projects. 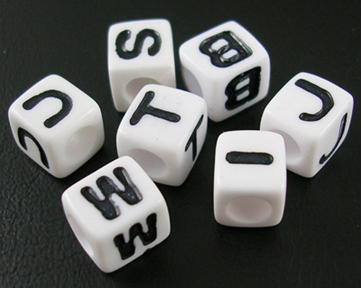 Note: we offer the same size cube bead in a transparent background, check out the Alpha Dice.